Cracksman destroys the field to win for the second year in a row! Cracksman returned to his brilliant best with a stunning defeat of Crystal Ocean, his six-length winning margin over the King George runner-up just a length short of the distance by which he beat Poet's Word 12 months earlier. He was the first horse since his sire Frankel to win at successive QIPCO British Champions Days and a third winner of the afternoon for John Gosden and second for Frankie Dettori. He now retires to stud the winner of eight of his 12 races, four of them at the top level, and more than £2.7m. 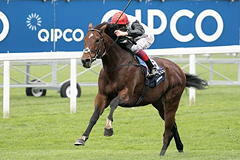 Gosden said: "It's super to have him back. Obviously, he likes to get his toe in. He's by Frankel out of a Pivotal mare and while Frankel won well on any ground a Pivotal mare is a bit of a clue. "He won the Prix Ganay in explosive style and I don't think he was quite the same after that - I think a few things were bothering him. Obviously, he got very distracted at Royal Ascot by the girls coming back from the Windsor Forest and then we went for the King George, where it was too firm, and the Juddmonte [non-runner for the same reason] then packed in and freshened him up to come here, where he was back to his best. "I'm a great believer in putting a little semi blinker on and have had a lot of luck with it down the years, having picked up the trick in America and most horses race in blinkers there. I can tell you the great Secretariat and Northern Dancer raced in blinkers. I don't have a prejudice against them. Sometimes you need to focus their minds. "When Cracksman is in the zone, he is a very good horse. I would think it is quite likely he will go to stud as he is a four-year-old turning five. He is Frankel's best son and it is lovely to see him back with a bang." 11/4 shot Crystal Ocean finished second for Sir Michael Stoute and William Buick, but he could not match the devastating turn of foot displayed by Cracksman in the home straight. Buick said: "Crystal Ocean ran a good race, but Cracksman won very impressively today. "He looked today the same Cracksman as he was last year with an equally impressive performance. "I was in a little bit of a tricky spot coming into the straight, but it opened up for me and Crystal Ocean ran a good race. "He is a nice horse who is very effective over a mile and a half." He lost his left-hind shoe during the race. Subway Dancer provided the shock of the race when finishing third at 66/1. The winner scored by six lengths, but there was only three-quarters of a length between the runner-up and Subway Dancer, a seven-year-old gelding trained in the Czech Republic by Zdeno Koplik and ridden by his brother Radek. There was almost £120,000 in prize money for the third horse home. Subway Dancer has been running well in French Group races for the past couple of seasons, but this performance, from the first Czech-trained runner ever at QIPCO British Champion's Day, in a Group One contest was from another league. Radek said: "It was a very good race and my horse ran very well, so I'm happy. Ingrid Koplikova, the trainer's daughter, said: "That is a shock for me, but very good for my family. He ran a very nice race and we are all so happy. 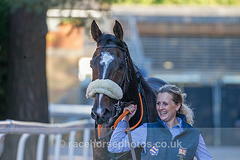 "He is a very classy horse and he loved this ground. My father bought the horse before he had run and he has progressed. After the last race, my father decided to run here, because it would be a dream for him, for my uncle and all the family. "My father has 28 horses in his yard, but this is the best one and the only one that could attempt a race like this. It is a dream to come to Ascot. I have never been here, but it is the best racecourse in the world." With £1.3m in prize money, the QIPCO Champion Stakes is the most valuable mile and a quarter race in Europe. Following on from iconic races like the Investec Derby and King George VI & Queen Elizabeth Stakes (sponsored by QIPCO), this is the final, pulsating showdown in the QIPCO British Champions Series Middle Distance category. The race brought a great heritage from Newmarket, where it was run from its inception in 1877 until 2010. 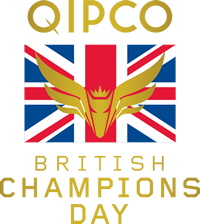 But the dramatic injection in prize money (the 2010 renewal was worth just £350,000) that accompanied its move to become the glittering highlight of the new QIPCO British Champions Day at Ascot has changed its status completely. Now it can compete in financial terms on flat racing’s international stage and the 2011 contest attracted a sensational field, packed with many of the world’s highest-rated middle-distance horses.